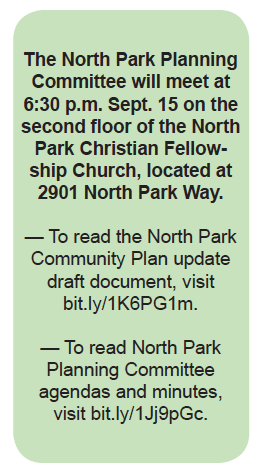 The North Park Planning Committee members sharpened their pencils and went to work on Aug. 18 to edit a portion of the Community Plan draft report. 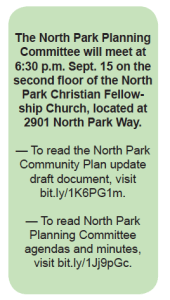 During almost three hours of intense work, the 11 committee members added and subtracted items from the 2015 draft of the “Economic Prosperity” element to the North Park Community Plan update. 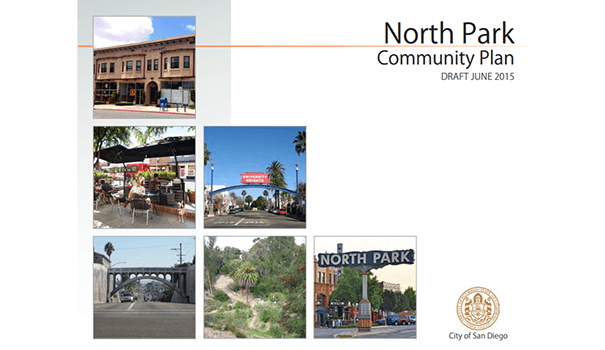 The Community Plan, which has not been updated since 1986, will guide growth in North Park for the next 25 years. City planner Marlon Pangilinan, who is assigned to oversee the update of the 174-page file, edited a Word document while it was being projected onto a wall in a second-floor meeting room at a church on North Park Way. 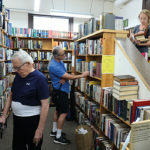 Audience members watched the sometimes tedious process, patiently listening as debates over semantics and word choices sometimes bogged down the process, and contributed suggestions to the volunteers who serve on the committee headed by chair Vicki Granowitz. One audience member told San Diego Uptown News that he appreciated the planning committee for the diversity of its members and its forward thinking. “As compared to some other planning groups, they tend to be less conservative, embracing a greater diversity of viewpoints, and more apt to consider new ideas and bold statements,” he said. Greater North Park, according to city planners, includes Burlingame on the south end. 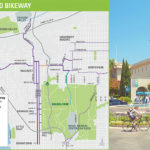 The planning district also includes a large portion of University Heights east of Park Boulevard stretching to the west side of Interstate 805. The west side of University Heights is part of the Uptown planning district. The population of North Park currently is 45,997, but that number is expected to swell to 61,965 based on the build out of the Community Plan, according to the draft. 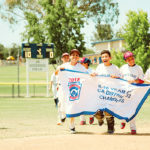 Currently, commercial businesses employ almost 5,800 people in North Park, and an estimated 2,500 people are self-employed. By 2030, the community’s total employment is expected to grow by 17 percent by adding more than 1,400 jobs. Over the next 15 years, the document predicts growth in jobs involving health services, leisure and hospitality, professional and business services, finance and real estate, retail trade, and government. The Planning Department has set a November deadline for final comments to be made on the community plan updates for North Park, Uptown and Greater Golden Hill. The city is updating all three simultaneously because they are contiguous and share similar issues. Granowitz described the North Park committee as “super hands-on” and wants the update to truly reflect the community’s needs and desires. She criticized the draft document for leaving out critical information, such as North Park being split between two police stations. North Park is blessed with a number of high-profile transportation corridors. Major north/south corridors include Interstate 805, 30th Street, Texas Street and Park Boulevard. Major east/west corridors include University Avenue, El Cajon Boulevard and Adams Avenue. 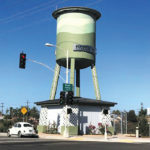 Granowitz said El Cajon Boulevard could handle higher density, multi-use development because it has six lanes of traffic and is used by the city’s Mid-City Rapid Bus that travels between San Diego State University and the Santa Fe Depot in Downtown. The City of Villages development concept embraced by the city recommends high-density projects be completed near transit stops to encourage people to use public transportation and bicycles, or to walk more and use their cars less. The Mid-City Rapid Bus stops along El Cajon Boulevard at 30th Street, Texas Street and the intersection with Park Boulevard. There is also a stop at Park Boulevard and University Avenue, where a number of high-rise buildings already exist. Park Boulevard, though, could see additional high-density projects, according to draft documents involving both North Park and Uptown. SANDAG documents show the Mid-City Trolley Extension is due to be completed by 2035, bringing a light rail line from Downtown along Park Boulevard to El Cajon Boulevard and eastward to San Diego State University. And MTS Bus Line No. 10 will eventually be converted to a Rapid Bus along University Avenue through North Park and Hillcrest. Both the trolley and Rapid Bus lines would likely attract higher density projects. Meanwhile, 30th Street could see rapid change in the next decade or so as the document supports additional growth and redevelopment. A streetcar is being planned along 30th Street from Adams Avenue to Downtown with multiple stops, which will bring tourists to Golden Hill, South Park, North Park and the Adams Avenue district. 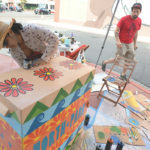 The “Economic Prosperity Element” was retooled by the committee to stress the goals to maintain North Park’s red-hot national reputation as a hipster community and a destination place for tourists and residents from other parts of the city. 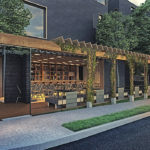 The document highlights North Park for its home-grown arts and culture, its entertainment and hospitality districts, and its image as a place that is affordable to live and work. The committee added to the draft document, giving its support and encouragement for more live/work buildings in North Park.